Cut pound cake into 12 slices that are 1/2-inch thick each. 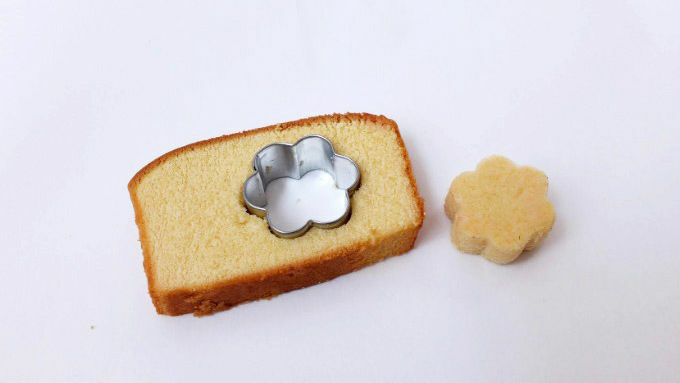 Using a 1 1/2-inch flower cookie cutter, cut 2 flower shapes out of each pound cake slice. 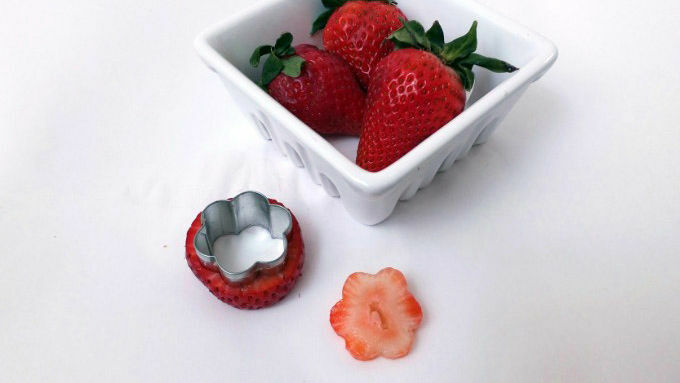 Cut strawberries into 1/4-inch slices. 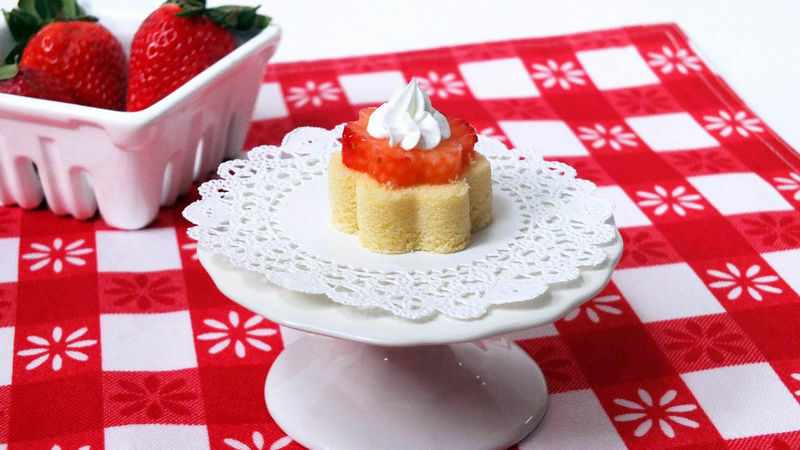 Using a 1-inch flower cookie cutter, cut flower shapes out of the strawberry slices. 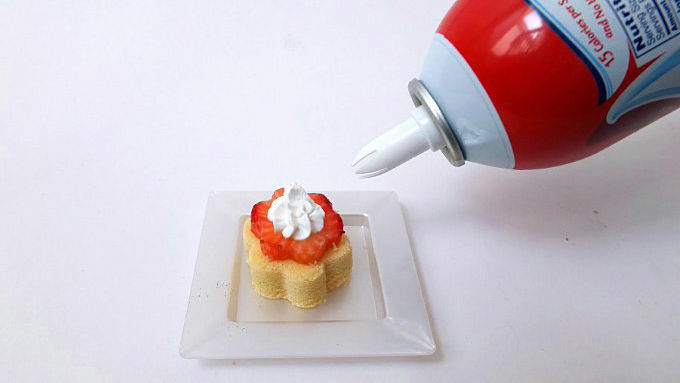 Spray a small amount of whipped cream on top of the flower pound cake and place the flower strawberry on top. Then top strawberry flower with whipped cream.